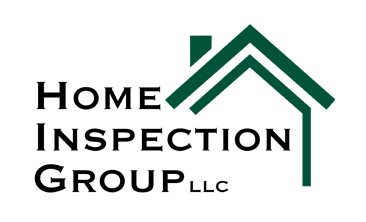 Contact Our Expert Home Inspection Company With Your Questions! This is really determined by the size of the home. Not only do we check the usual and necessary, but we go above and beyond to make sure your home and property are safe and secure. Is There A Penalty To Cancel My Home Inspection? No. There is no penalty for canceling your home inspection. However, we do ask that you reach out to us 24 hours in advanced. What if I need a last minute home inspection? Let us know the time and location and we will try and accommodate. What if my home does not pass inspection? 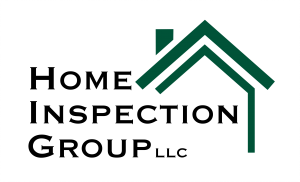 If your home has any potential health hazards, Rick will inform you and, from there, come up with suggestions and a game plan to have a safe and secure home. Some General Advice About Your New Home! A number of common-sense procedures when you take possession of your new home may help you avoid a lot of worry and expense later. Here is a checklist of items to consider. Especially on older homes not subject to more recent codes, ensure you have adequate smoke and fire alarms in the house. Test and check batteries on existing alarms. Know where the main shutoffs for your utilities are located, and understand how to operate them for the electrical, plumbing, HVAC, and other systems (security, telephone, etc). Ensure you have an appropriate fire extinguisher for the type of fire likely in that space, and that existing ones don't need inspection and re-charging. Make a fire-safety plan with your family and determine which routes are to be used from where in order to exit safely during an fire/smoke or other emergency. Make sure everyone knows where emergency egress windows are located in their bedrooms.. Change the locks on the doors, windows, and exterior outbuildings. Check that windows and doors are secured and don't need updated or upgraded hardware. Old standbys of a nail/screw in the side of the door/window frame, or wooden dowels cut to keep the windows from opening, will work as a stopgap measures. Loose flooring, uneven thresholds may present a potential tripping hazard, replace or repair as required. Ensure stairways are well lit and have adequate handrails. Similarly, the exterior may have uneven sidewalks, broken ground, collapsed retaining walls, overgrown landscaping, etc, which need to be replaced or repaired to prevent further damage to the house, or potential injury for occupants and guests. Ensure that locations where piping, conduit, ducts, etc are entering/leaving the house have been made vermin-proof with appropriate measures. Screens, foam filler, and caulking need to be periodically inspected to ensure they are still intact and in place. Regular maintenance of the various components of the mechanical systems can make sure they operate at peak efficiency, as well as prolong the life of the equipment. Cleaning or replacing air and water filters, cleaning refrigerator coils and making sure it has enough clearance, clearing out gutters (and consider installing gutter screens), making sure dryer ducts are not building up lint, keeping landscape under control next to the house, etc. There are a host of other regular maintenance issues depending on the particular types of mechanical equipment you have at your house. A number of extensive, expensive house disasters can be avoided by keeping up with regular home inspections and maintenance to catch small issues before they become big problems.